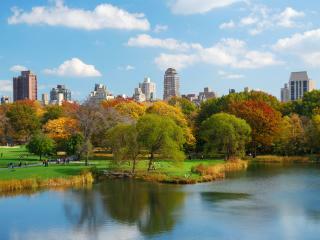 Central Park is one of New York's most famous attractions and is a natural haven in the centre of the bustling city that never sleeps. Spanning 843 acres in the middle of this concrete jungle, Central Park is an important part in the daily lives of New Yorkers and attracts hundreds of thousands of tourists each year. Impressive in both size and beauty, Central Park is home to paths, lakes, gardens, quiet open spaces, a castle, Egyptian obelisk and even a zoo. A great way to get a sense of what it's like to live in New York, Central Park is a picturesque place to visit and is ideal for strolling through paths and parklands, taking a boat ride out on the lake or enjoying a picnic and with New York's reputation for gourmet deli fare, there's plenty that you can pick up nearby and enjoy in the park. 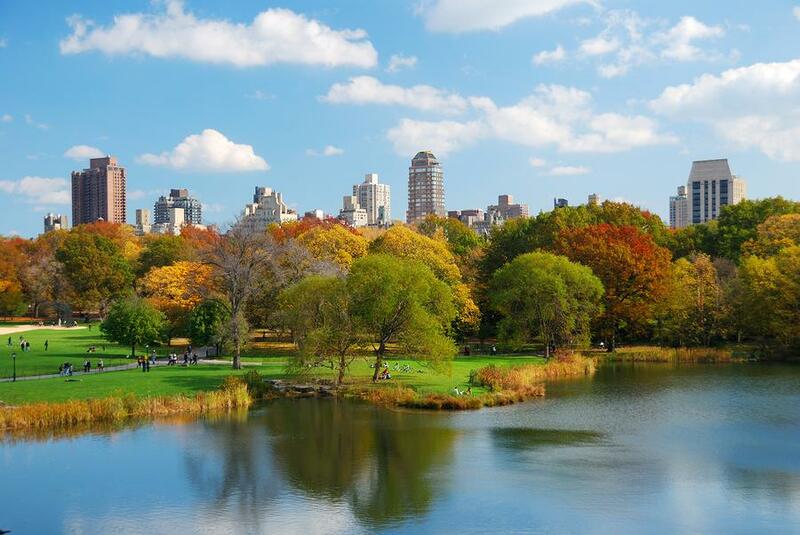 In 1962 Central Park was designated a National Historic Landmark, 104 years after a design by Frederick Law Olmsted and Calvert Vaux won a competition with their Greensward Plan to expand and improve the park. Construction began in 1858 and the plan took 15 years to fully implement with construction continuing despite the outbreak of the American Civil War in 1861. The war ended in 1865 and Central Park was completed by 1873, although it officially opened in the winter of 1859. The first park in the United States to be artificially landscaped, the integration of planned and rustic elements throughout the park offered everything from planned walkways to the wooded and wild area of the Ramble. There are a number of attractions within the attraction of Central Park itself including the East 75th/76th Streets Alice in Wonderland Statue north of the Conservatory Water, the centrally located Angel in the Water Fountain at 72nd Street in Bethesda Terrace, the mid-park Jacqueline Kennedy Onassis Reservoir stretching from 86th to 96th Streets, The Mall and Literary Walk from 66th to 72nd Streets and Strawberry Fields, a quiet zone dedicated to John Lennon, on the West Side between 71st/72nd Streets. A great place to relax, have picnic and explore, there are many free events held throughout the park, particularly in summer.